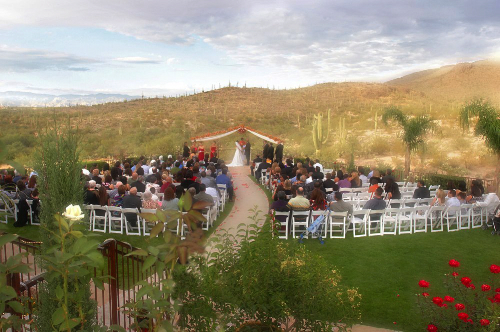 We can accommodate up to 300 people at the outdoor ceremony site, and the indoor reception hall holds up to 250 people. The ceremony can easily be moved indoors with minimal effort for inclement weather. Yes. Absolutely. This is Arizona. 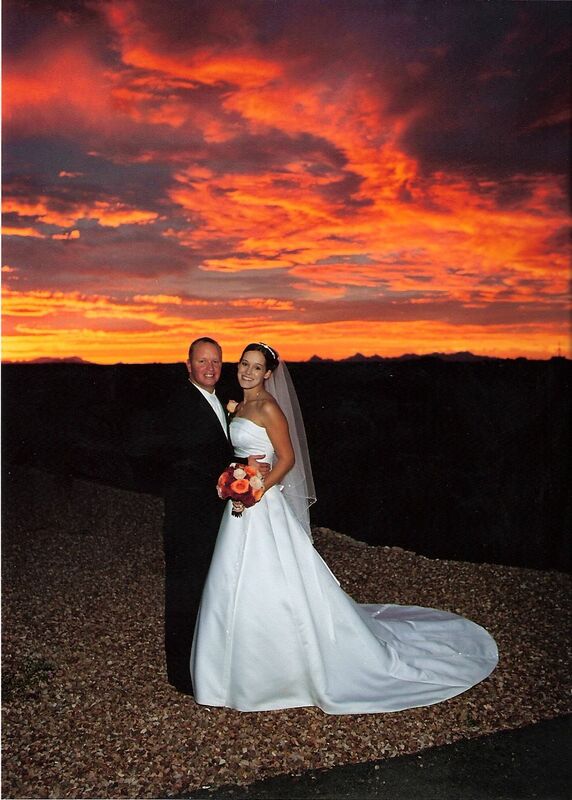 Are you Associated with any other Wedding Venue in Tucson? 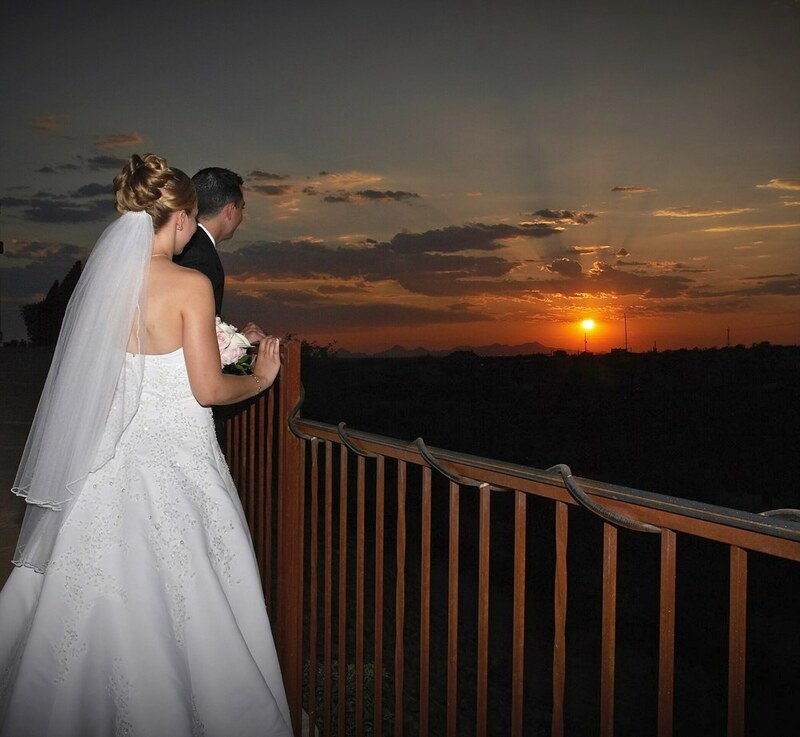 Although we have friendly relationships with many of the Wedding Venues in town, Saguaro Buttes is not associated, owned, connected, or related with any other wedding venue in Tucson, were are a Sole and Separate entity. Do we have exclusive use of your site on our wedding day? Yes you have exclusive use of the site for your special day. We only book one wedding a day, so your day is “your day”. We will never book another event for the facility on your day. How long do we have use of the site? You have exclusive use of the site from 3:00pm to 2:00am. or for 11 hours with our most popular package (Gold Package) These times can also vary in order to fit your needs. Are Ministerial Services included with the use of the site? Yes, personalized and customized ceremonies are included at no charge. Can we bring in our own officiant? Yes. We welcome other officiants. Are event planners/ wedding coordinators included with use of your site? Yes, our event professionals will help you plan and coordinate your entire event from start to finish. Can people get ready before an event at the site? We have beautiful private accommodations with showers, TV’s, refrigerators, plenty of mirrors, etc. which are available for the bride, groom, and attendants. How far in advance do I need to book a Date? Saguaro Buttes has become very popular over a short period of time, dates are booking out up to a year and a half in advance. It is important if you want a certain date to book as soon as possible. The norm is usually about 9 months to a year in advance, and with the economy lately, some brides and grooms are doing shorter advance bookings 3 to 6 months. What time of the day should I have my wedding? What is the best time of the year for my Wedding? When can I get a tour of the property? Our normal hours of operation are Tuesday through Friday, 9:30 AM to 5:30 PM. We have an Open House every Tuesday evening from 4:30 to Sunset. Saturdays by appointments only. It is best to call in advance (647-0994) for an appointment. Other times are available for tours but must be scheduled by appointment. 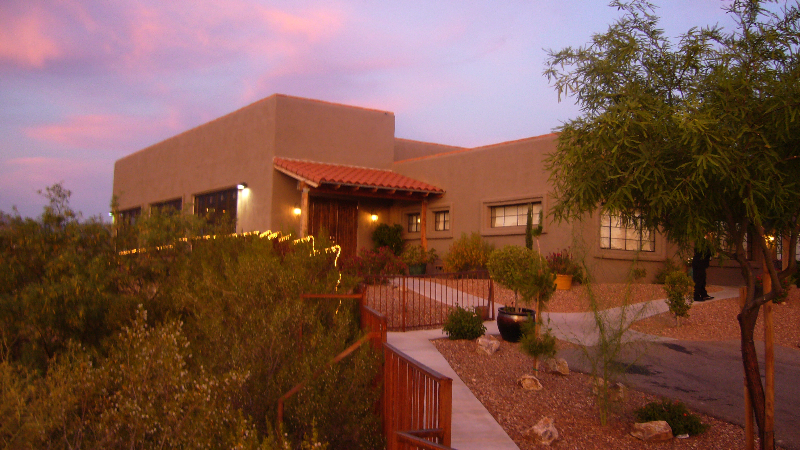 Saguaro Buttes is a subsidiary of Saguaro Buttes Community Church. We welcome all bride and grooms in the community who desire to be married in the State of Arizona to use these facilities.